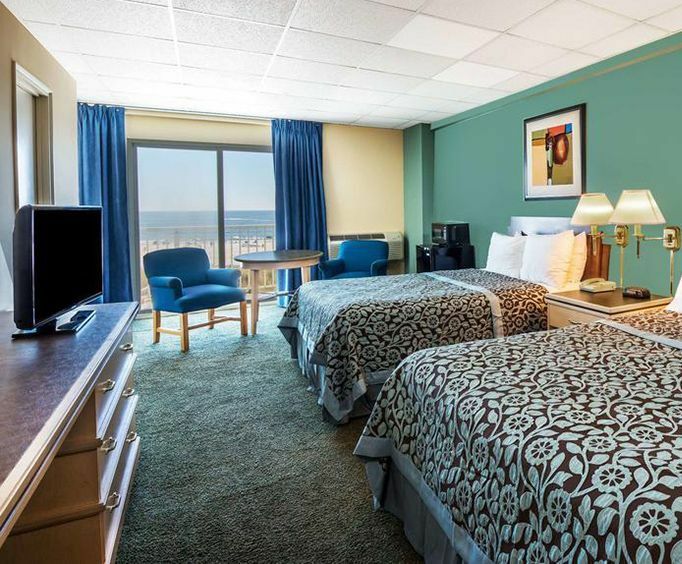 Days Inn Atlantic City Oceanfront Boardwalk is located in beautiful Atlantic City, NJ. There are many wonderful activities to choose from including going to Legends in Concert, Diva's Do AC, Borgata Casino, Atlantic City Boardwalk, Atlantic City Convention Center, Boardwalk Hall, Revel, The Pier Shops at Caesars, Atlantic City Visitor Welcome Center, Golden Nugget Atlantic City, Showboat Atlantic City Casino, Atlantic City Aquarium, Atlantic City Hilton Casino, House of blues, Tropicana Casino, and so much more all within 5 miles of the hotel. You will be able to find something for everyone when visiting. When guests arrive they will be sure to notice the beautiful boardwalks and beaches. The views are breathtaking to say the least. The entrance to the hotel is grand and extremely stunning. 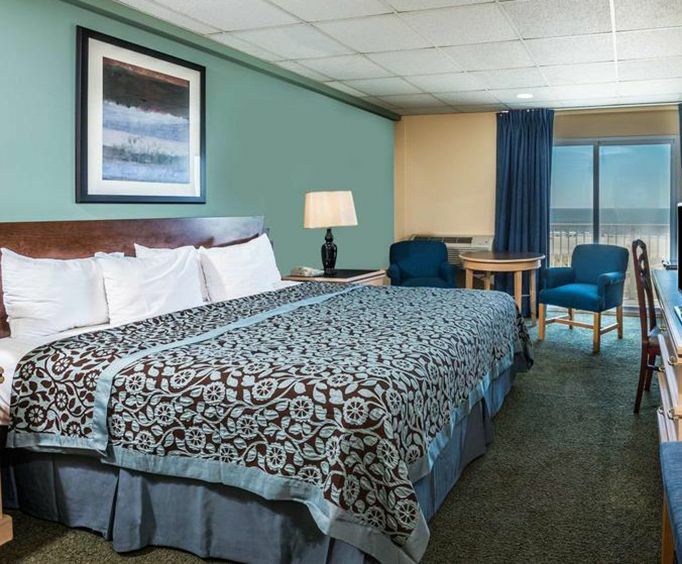 The rooms are gorgeous and very spacious. The staff is excellent and will be there for you every step of the way from the moment you arrive. 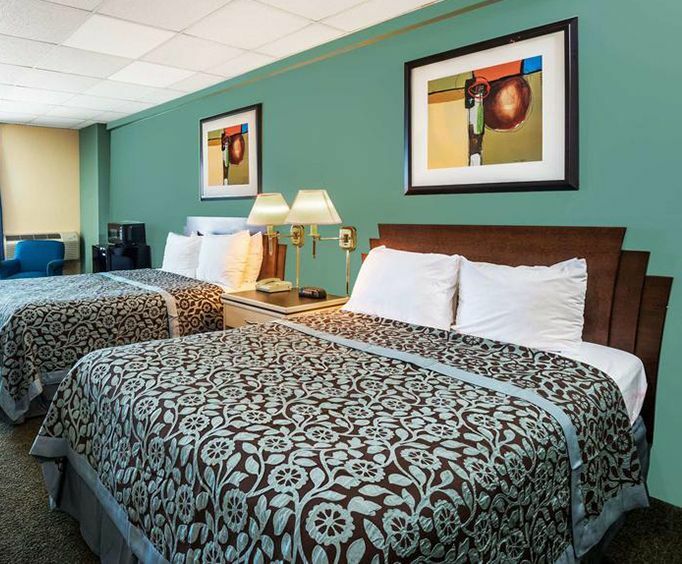 The amenities include room service, housekeeping, laundry facilities, dry cleaning, business center, fitness room, ice machines, coffee makers in every room, microwaves, maid service, televisions in all rooms, phones in every room, 24 hour front desk service, pools, quality linens, complimentary breakfast, and so much more. The great restaurants to choose from include the Hard Rock Caf', The Iron Room at Atlantic City Bottle Company, Dock's Oyster House, Caf' 2825, White House Sub Shop, Kelsey's, Vic and Anthony's Steakhouse, Amada, Chef Vola's, The Continental, Borgata Buffet, Chart House, Robert's Steakhouse, and so many more. You will have access to top of the line restaurants that deliver excellent service. This hotel will make you feel at home from the moment you arrive.